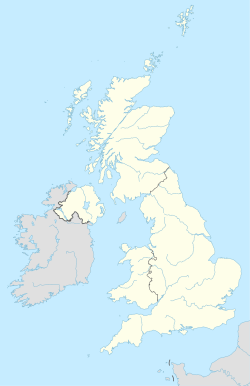 The UB postcode area, also known as the Southall postcode area, is a group of eleven postcode districts in England, which are subdivisions of six post towns. These postcode districts cover parts of west and north-west London, as well as a very small part of Buckinghamshire. UB comes from an abbreviation of Uxbridge. The main sorting office is in Greenford (Green Park Way) and the area served includes much of the London Borough of Hillingdon and the western part of the London Borough of Ealing, while the western part of UB9 covers a small part of the South Bucks district of Buckinghamshire, the southern part of UB2 covers a very small part of the London Borough of Hounslow, and a very small part of UB5 lies within the London Borough of Harrow. UB postcode area map, showing postcode districts in red and post towns in grey text, with links to nearby HA, SL, TW, W and WD postcode areas. ^ a b c d "Non Geographic Codes" (PDF). Royal Mail Address Management Unit. July 2012. Archived from the original (PDF) on 16 September 2012. Retrieved 20 December 2012.